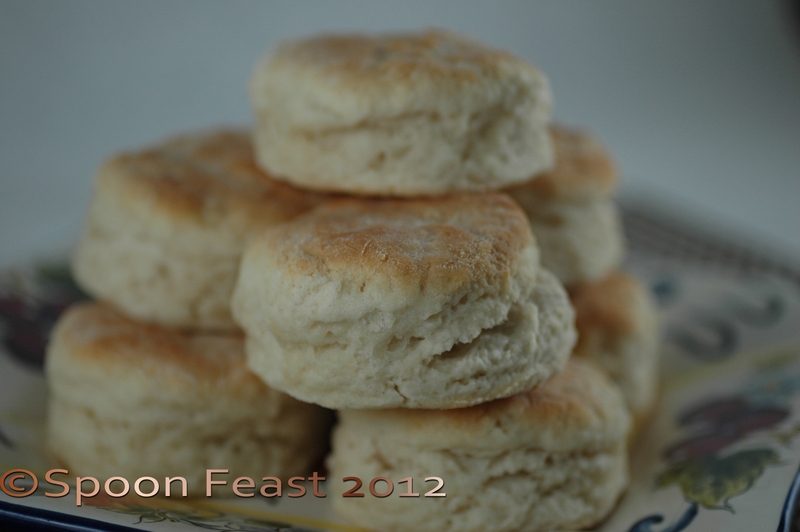 Here is how to make buttermilk biscuits. Just be careful and don’t eat too many. They have absolutely no nutritional value whatsoever. Although they do taste good once in a while. Measure the flour into a large bowl. Cut the butter into the flour using a fork, two knives or a pastry cutter, until the mixture resembles very coarse cornmeal. 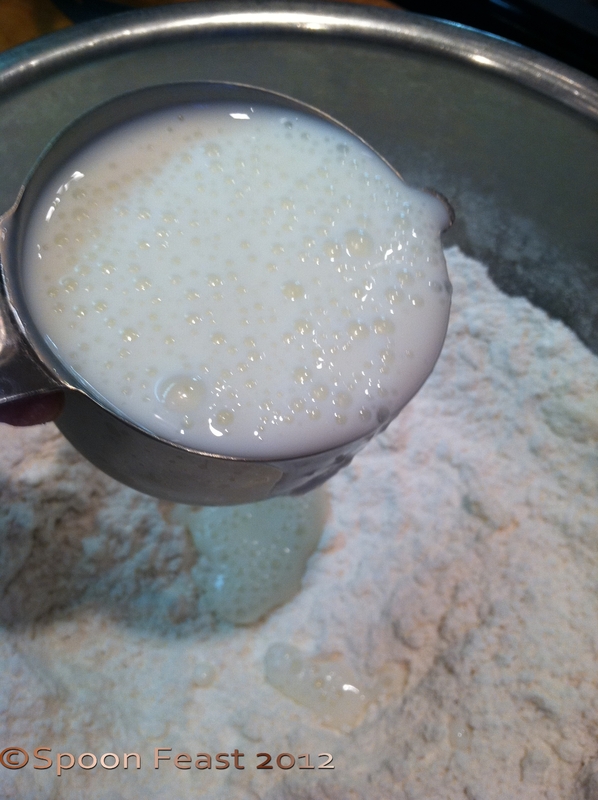 Make a well in the center of the flour, pour the buttermilk in and fold to make a sticky mass. 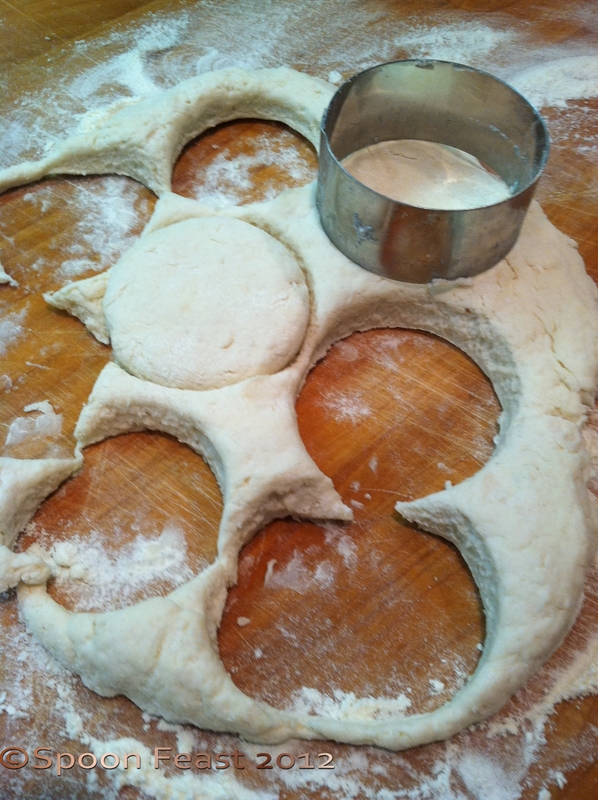 Don’t knead the dough like you would bread. If you do, you will have a tough biscuit. Just bring the mass together. 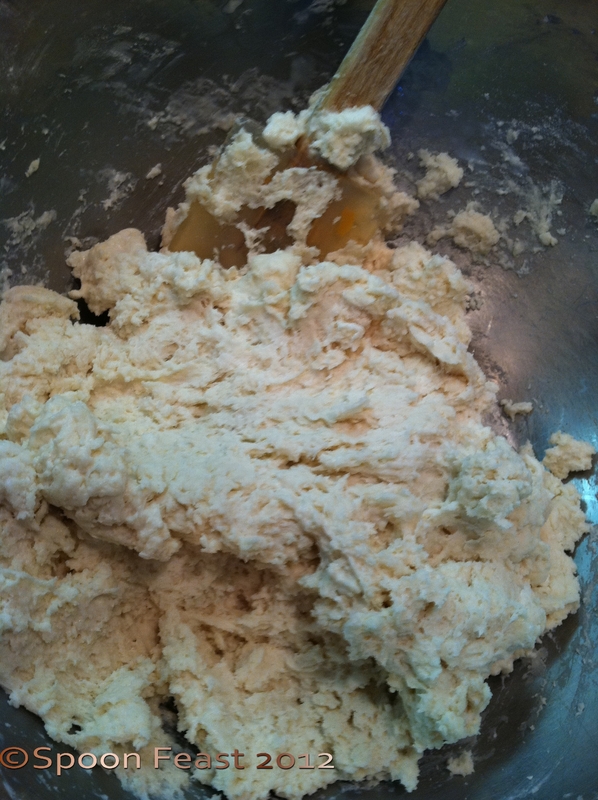 Put the dough on a well floured board and pat to about 3/4 inch thick. Using a sharp edge cutter, cut straight down. It is important not to twist. 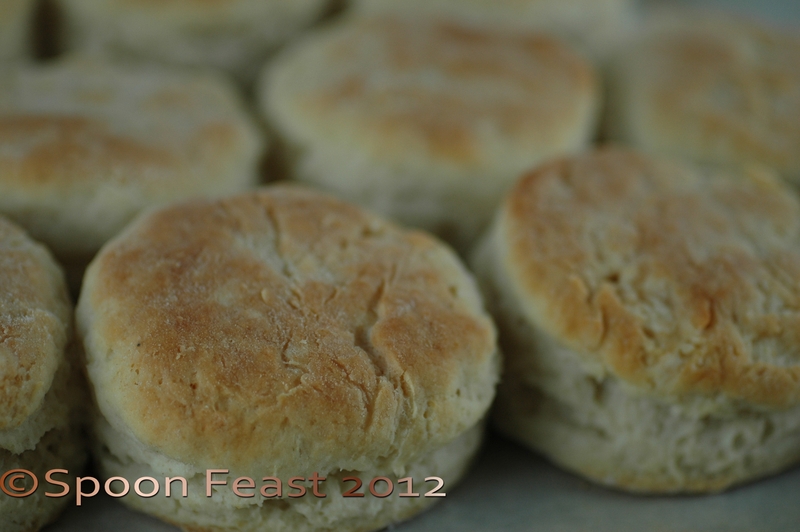 Twisting will not allow the biscuit to rise correctly. 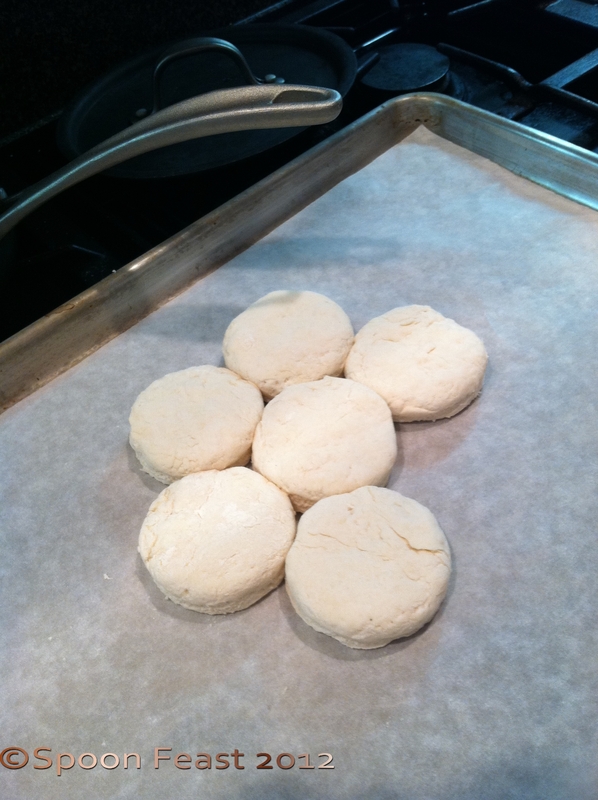 Place the biscuits on a baking sheet with the sides nearly touching. Bake in the hot oven for 10 minutes. 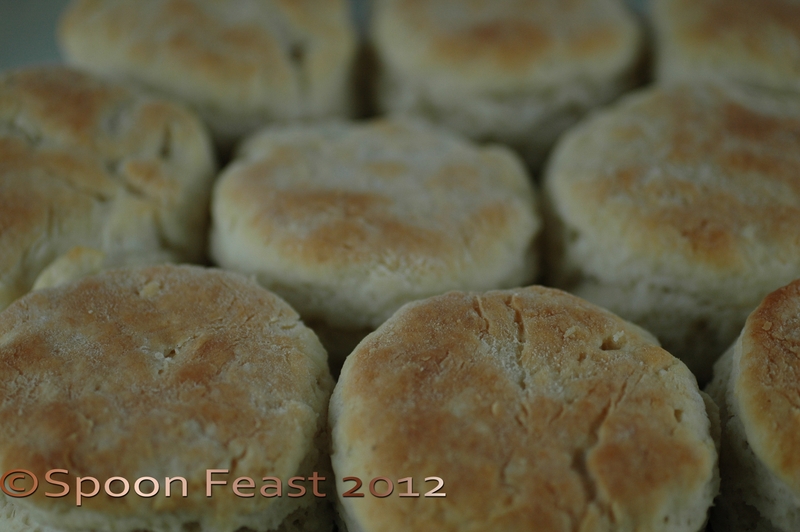 The biscuits are done when they are golden brown. I had to make something to go with the pepper jelly. Your mini fried pizzas look fantastic. I love the photos of your friends place. Sweden is so beautiful. I have re-subscribed because no, I was not getting your updates and nearly missed the dulche post. Ooh yummy – what we call scones but who cares what you call them, just so long as they have heaps of strawberry jam and cream on top. Mandy, you are so funny! don’t eat too many? you’re going to have to explain how to follow that bit of instructions! Yeah, I know. It takes discipline, which is something I am short of all the time! Great directions. Absolutely agree that a ricer is the way to go. Unfortunately, my favorite potatoes for mashed are out of reach for me these days — Maris Pipers (UK). I need to figure out how to grow these in my garden. Why can’t you find these little marvels in the U.S.?